On September 12, all corporate staff joined together to celebrate the kickoff of our 35th year. 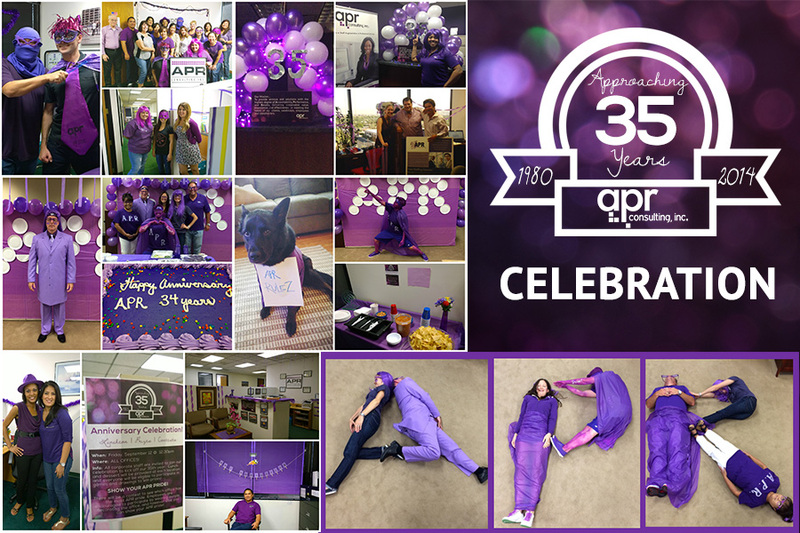 We asked employees to show their APR pride by wearing purple and decorating the office, and we were not disappointed. From superhero capes, purple suits, and ninja masks, our employees really know how to wear purple. As part as our kick off of entering our 35th year of business, we asked employees why they love working at APR and here were a few of the answers. We are excited to enter our 35th year and look forward to the opportunities and growth that is to come. This entry was posted in APR News and tagged Anniversary, APR, APR News, Company Culture. Bookmark the permalink.